You have scoured the internet listings. Maybe you have a list derived from homes your agent sent you to review. In some cases, you may have a mix of what your agent has sent and homes you have found using one of the websites that list homes for sale. Now you are ready to go see them in person. There are 5 things you need to know before you go out the door. Your agent has to make sure he is aware of information about each home and neighborhood. Your agent has to follow the showing instructions in obtaining permission for you to view each home. Your agent has to keep you on schedule to reach and view each home on the list. Viewing homes is not just a matter of driving to an address of a home that is for sale and walking through the front door and taking a look around. It first must be verified that the home is still for sale and available for viewing. It is possible that a home that was listed as “active” when you last looked on line, has gone under contract. Some websites are not updated and homes showing for sale have actually been sold long before they caught your eye. If you have found a home in one of the many vanity magazines that claim to have homes for sale, chances are that nothing you have seen is still on the market (those magazines actually are for the benefit of agents hoping to list other homes). Homes that are for sale, may or may not be occupied. If they are occupied, the resident usually likes to know that someone is coming to view the home. If they are vacant, it is usually easier to get in the home and view it. Your agent will have to “scrub” the list and remove those that are not really available. Once the list of homes you want to see has been reduced to homes that you can see, your agent has to review the pertinent data about the home. You may have questions about square footage, the approximate tax bill, the schools in the area as well as where is the closest shopping, etc. Your agent has to be able to answer your questions. In most cases, these general questions are part of your weaning method and getting back to you will prolong the process. At this stage, you are subconsciously evaluating each home. Answers that make it easier to include or remove a home from your final list are very important. Your agent should be aware of traffic patterns and possible commuting routes. Understand, in urban areas, finding a parking space is not a skill, it is the luck of the draw. Every listing agent has been directed by the seller when the home is available to be shown. These instructions vary from home to home. There are lots of reasons that homes may not be available when you wish to view them. If people are still living in the home, they are selling a house but they are also doing their best to maintain some semblance of order while that occurs. The listing agent includes showing instructions in the MLS listing. The instructions are not always finite. Often, the listing agent uses the services of a third party showing scheduler. A call must be made and permission granted for the time frame your agent plans for you to view the home. These “showing windows” have a beginning time and are usually confined to a 60 minute slot. If a home is vacant, you often have a great deal more latitude in times. The showing permission has to be followed. It is very important that you stay on schedule. If a home you visit is impressive enough that you want a longer look, have your agent schedule a second showing later that day or the next day. Don’t linger and throw the viewing schedule off. You may not be able to see all the homes on your list and you will never know if the one you missed would have been “the one”. In a perfect world, you would start at point A and move systematically to point B and so on. Showing homes just doesn’t seem to work that way all of the time. Often, available showing times create the need for a back and forth flow to your tour. It is up to your agent to orchestrate this journey. Each home and each availability time has to be put together like pieces of a puzzle. When complete, you will have a good picture of which homes you will visit and the order in which you will see them. Nobody is perfect and a system with so many variables can cause the best of us to falter. Your agent’s mission is to get you into each home you wish to see. Usually, that happens, but sometimes things change and you end up standing at a front door and discover it is not available to be seen. It happens to the best of us. Keep in mind, the seller can restrict showings when ever they want. If you can’t get in, move on to the next home on the list. Sometimes when viewing homes, you discover that the listing agent was a magician with a camera. Other times, when viewing homes you will marvel at a listing agent’s talent in describing the home. When viewing homes, what you see is what you get. Your agent has no control over the accuracy of photos presented or description used by the listing agent. Your agent is responsible for looking at the home and attempting to see anything that needs further investigation. Always remember that you are the buyer. You will be the one living in the home. If you ask the agent “What do you think?”, you are asking too broad of a question. You can ask about lots of things regarding the home or the area. Your agent (in most cases) will not be moving in with you, so “what they think” is not something they can easily answer. It is your job to walk around, get a feel for the layout, visualize your self and your things (furniture, etc). Most of the time, this will be accomplished rather quickly. Make notes and wait until you have seen all the homes before making a final yes decision about any of them. Remove any home as soon as you know it does not work. Stay on schedule. Your goal was to see a certain number of homes to make a good evaluation. You have to stay on schedule to accomplish your goal. Viewing homes properly entails planning. If you follow your agent’s direction, you will have a successful day. You may not find the home of your choice, but you will definitely remove possibles from your list. Remember, it takes time to prepare and preparation is necessary for you to see the homes you wish to see. Enjoy the journey, take notes and stay on schedule. Your home is just waiting for you to come by. Montgomery County Living … We have it ALL ! Montgomery County Maryland is located along the Potomac River just Northwest of Washington DC. There are several commuter routes to facilitate residents that live in the county and work in the District of Columbia. Montgomery County living offers all sorts neighborhoods and lifestyles. There are “cookie cutter” neighborhoods that were built following World War ll and there are small clusters of individually designed custom-built homes. The county offers high-rise condo’s and developer designed town home neighborhoods. Montgomery County is defined by three major commuter routes, Wisconsin Avenue (which changes names several times on it’ s journey from the Potomac River to Frederick Maryland), Georgia Avenue and Colesville Road. These major roads are linked by East West Highway to the south, the Capital Beltway, Randolph Road and Route 28/198 to the north (another of the roads that changes name as it goes from west to east). The area is also supported in a fashion by the Metro rail system. The red line begins at Shady Grove Road and travels south through Rockville and Bethesda before entering the District of Columbia, sweeping through Metro Center and then heading back out into Montgomery County with stops at Takoma Park, Silver Spring, Forest Glen and Wheaton before ending at Glenmont. Trains do travel in both directions, but it is best to know that going from Bethesda to Silver Spring might take longer on the train than in a car. Montgomery County also has Marc Train service with stops in Germantown, Gaithersburg, Kensington and Silver Spring before continuing downtown to Union Station. Those commuters that use the Marc Train will discover that there are Metro connections available once you reach downtown Washington DC. The neighborhood bordering the District of Columbia along Wisconsin Avenue is Chevy Chase. Chevy Chase has some of the oldest homes that sit as grand matrons as you first enter Montgomery County. Chevy Chase Country Club sits amid neighborhoods that date back to the turn of the 20th century. Chevy Chase also is home to Montgomery County’s version of Rodeo Drive. The main shopping area features upscale shopping that is not found anywhere else in the area. A nearby neighborhood is Friendship Heights which is a delightful little town that reminds visitors of villages in years gone by. Farther to the west are the neighborhoods along Massachusetts Avenue that are home to dignitaries and political figures. Potomac Maryland is located northwest of Chevy Chase. It is an area replete with country clubs and large acre home sites. Potomac is often noted for the celebrities that live there now or have lived there in the past. Yet, even this enclave of well to do neighborhoods has a small town center that features shops and eateries. The next key stop on the journey out Wisconsin Avenue is Bethesda, Maryland. Bethesda is located at the junction of East West Highway and Wisconsin Avenue. On weekdays the intersection is teeming with pedestrian traffic as those that work in the high-rise office buildings make their way from here to there. On the weekends, the area is filled with patrons of the dozens of restaurants that dot the landscape. There are stores along most of the side streets and the Montgomery Farm Women’s Co-op has been operating a market there for years. Continuing out Wisconsin Avenue, you will notice it becomes Rockville Pike about the time you cross over 495. You will soon arrive in the southern section of Rockville which features White Flint Mall. From White Flint Mall to just beyond the route 28 intersection, both sides of the road offer shopping. 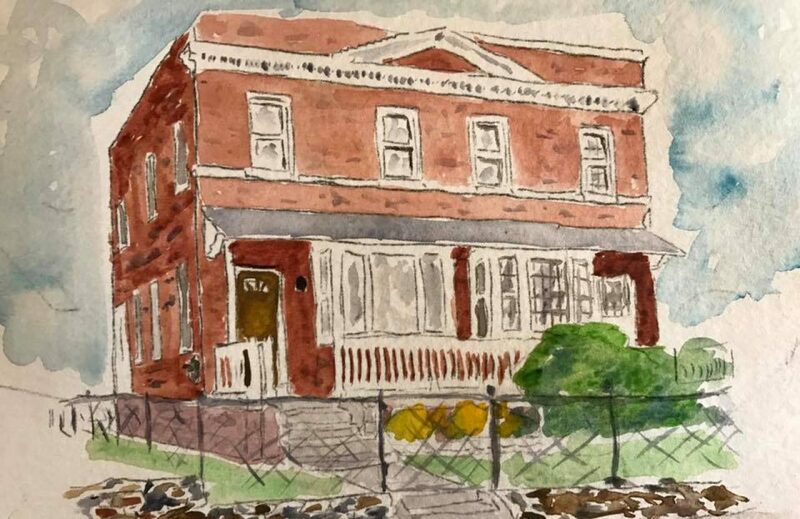 At the mid-point in your trip, about the time you cross over Randolph Road, there are some large condominiums, but by and large Rockville Pike is the golden mile or so. In retail and food service circles, it is often stated “if you can’t make on Rockville Pike, you can’t make it anywhere.” This section of the pike is packed with traffic day and night, seven days of the week. It is best considered a destination and not a route to use to get from north to south or vice versa. Rockville is the county seat of Montgomery County. It has the major courts and it is home to the Montgomery County Executive and County Council offices. Rockville is also an All American City. F. Scott Fitzgerald of The Great Gatsby fame is buried in Rockville. There are neighborhoods with homes in all price ranges. You can find cape cods, bungalows, split levels, colonials and in the downtown area, you will find some beautiful Victorians. We have had the pleasure of working with many buyers that found the perfect home in Rockville, Maryland. If you would like to see homes here, or anywhere in Montgomery County, give us (The MacArthur Group) a call at 301-509-5111. Located at the northern tip of Rockville is a planned community named King Farm. King Farm has housing of every type. The neighborhoods are divided to the north and south by King Farm Boulevard. Each side has a community center, club house and pool. Residents enjoy easy access to a grocery store a few restaurants and small shops. Many of the residents live and work right within the community. The next town on the trip north is Gaithersburg. 50 years ago, this was a farming community that surrounded a main street area. Farms have given way to development but the main street still survives. The marc train station is located downtown as is the concert pavilion. The downtown area has shops and restaurants. The Montgomery County Fair is held at the fairgrounds which are still located in Gaithersburg. Lake Forest Mall is located in Gaithersburg at the entrance to Montgomery Village. Montgomery Village is a large planned community that features shopping, parks and lakes. Montgomery Village Country Club is located in the center of the area. This large development has dozens of neighborhoods that each feature community activities and a swimming pool. Just a bit west of Gaithersburg is the award winning community of the Kentlands. The Kentlands have served as a model for planned development across the country. The concept was to create a town center and surround the town center with neighborhoods. The hope was pedestrian traffic would increase and auto emissions would decrease. The Kentlands have been an unqualified success. The layout of the community has re-engendered the old concept of actually knowing your neighbors. The town is criss crossed with walking and bike paths and neighborhoods are dotted with small parks. It is a community that is unparalleled in the county. Northwest of Kentlands are the communities of Darnestown, Comus and Poolesville. These towns are located around the base of the foothills that rise to become Sugarloaf Mountain. This area is more farmland than residential and most of the homes are on large tracts of land. The are many different orchards in this area and “pick and pay” opportunities are found along many of the roads. In addition to apples, pears and peaches, this is the area of the county that has some vineyards. Summers feature wine tastings and tours of the vineyards. Montgomery County Living includes the opportunity to take a drive through the country, stop for a wine tasting and continue on to one of the country restaurants for dinner. If your day trip includes an excursion into nearby Leesburg, Virginia, you don’t have to travel all the way back down 270 and across the bridge and back out route 7. You can drive through Poolesville and use the services of White’s Ferry to cross the river. The ferry has been in operation since 1817. The trip across the river on the Jubal Early will cost you $4 one way and $6 if you purchase a round trip ticket. This is the only way to cross the Potomac River between the Cabin John Bridge (route 495…the Capital Beltway) and Point of Rocks, a small town further up the river in Frederick County. Back on Rockville Pike, you will notice it changed to Frederick Road but remains route 355. Leaving Gaithersburg, you pass through the area known as Germantown. Communities planned and developed are on both sides of the highway. The main areas of Germantown are located at the intersection of 355 and 27. There is another town center area located west of route 270 on route 118. These are the outlying suburbs and many residents here drive to the metro station, leave their car and take the subway to work. Our last stop on this journey up Wisconsin Avenue/Rockville Pike/Frederick Road is Clarksburg. Clarksburg was once a small farming community and now it is home to the largest planned development in Montgomery County. There are neighborhoods linking with one another over several miles. New homes feature large living areas and minimal yards. It is a growing community that is fast becoming a beacon for new arrivals to the area. Clarksburg also features Little Bennett Regional Park and is home to F. Wilson Wims, a local legend. Wims Meadow is located in Little Bennett and was used by early sandlot African American ball players. Wims owned the Maryland Wildcats, one of the original African American teams in the area. Mr. Wims was instrumental in the early development of the Clarksburg community. The middle route through Montgomery County is Georgia Avenue. Georgia Avenue actually begins in the District of Columbia and continues north to beyond the Montgomery County line. The first little community ( it is actually in the District of Columbia and Prince Georges County as well as Montgomery County) is Takoma Park. Takoma Park is the original home of Montgomery Junior College, which has been redefined and labeled Montgomery College. It is a quaint town that is known for it’s politically active citizenry. Takoma Park banned Nuclear weapons before most American’s knew they were dangerous. Due to the fact that it is actually within three jurisdictions, it is a loosely bound town. It features beautifully restored older homes and some of the most unusual shops in Montgomery County. 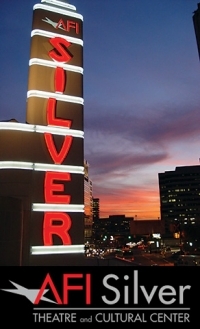 Silver Spring is located adjacent to Washington DC on Georgia Avenue. The southern most tip of the town is filled with office buildings, retail stores, theaters and restaurants. There is a red line station in the heart of downtown and metro buses and ride-on buses also have terminals there. It is where the suburbs meet the city and it is bustling all of the time. The area has gone through a revitalization that included creating a pedestrian friendly section surrounded by retail and eateries. Once you move beyond the commercial area, Silver Spring is a vast area of old neighborhoods, stretching from the downtown area outward for several miles towards the west, north and east. Silver Spring has more zip codes than any other area in the county and the sheer size of the area leads to confusion for those moving here. It is hard to imagine that you could have a 30 to 40 minute commute each way and never leave Silver Spring. Heading north on Georgia Avenue, you will leave Silver Spring proper and begin a journey into the suburbs. It is just a few miles until you find yourself driving through Montgomery Hills. This area features a wonderful neighborhood called Woodside. This is another one of those places that harkens back to days gone by. There is a unique community spirit that is alive and well in Woodside. After passing the Georgia Avenue intersection with the Capital Beltway, you will arrive in Wheaton Maryland. Wheaton is the location of the first Mall on the East Coast – Wheaton Plaza. It is now covered and has changed names to Westfield Shopping at Wheaton. The road that shoots off to the left at Wheaton Plaza is Veirs Mill Road and it will take you to Rockville and beyond. Wheaton neighborhoods are older and going through the process of gentrification. Montgomery County planners have high hopes for a continued revitalization of the area in the coming years. Wheaton also is home to a regional park. There are acres of paths, camp sites and a very large lake. The park also has an ice skating arena which is used by local youth hockey clubs. The eastern edge of the park has stable areas where you can take lessons or go for a ride. Nestled between the stables and the lake is one of the treasures of Montgomery County. Brookside Gardens is a botanical delight. Flowering plants of all types are nurtured and cared for by an informative staff. There are year round events which culminate with a festival of lights in December. The butterfly gardens are one of the biggest draws during the summer. Brookside also offers many educational opportunities for residents. It is a place you will visit again and again. Georgia Avenue continues northward passing through an area known as Aspen Hill. If it becomes confusing to you as you drive through this section of the county, it is understandable. The area includes several communities that are part of Silver Spring or Rockville. These neighborhoods were built more recently than those to the south and the home styles are a bit different. You will see more split levels and raised ramblers in this area. Another one of Montgomery County Living’s gems is located just west of Aspen Hill. Rock Creek Woods is a small development that features homes designed by Charles Goodman. Goodman was heralded for his use of natural surroundings and “letting the outside in” . There are not many homes designed by Goodman and when they change hands the new owner is considered very lucky indeed. By the time you have reached Olney, you will have crossed the intersection with route 28 and passed over the infamous inter-county connector. You will notice the homes have a little more yard and the aura of hustle and bustle has slowed down just a bit. Olney is a very unique town. It features several restaurants that have the ambiance of “Cheers” and the quality to match any eatery in the county. Olney is a snap shot of Montgomery County Living. The town center, loosely defined by the intersection of Georgia Avenue and Olney Sandy Spring Road is surrounded by single family home neighborhoods. Each neighborhood has plenty of green space for outdoor enjoyment. It is far enough north that the city is “down there” and close enough to a metro stop that you can reach downtown in minutes. West of Olney is the farm land that still exists in Montgomery County and to the East is the area known as Ashton. Ashton borders theTri-delphia Lake preserve. An afternoon at the lake is one of the best ways to enjoy a Saturday. If you leave Silver Spring and head out Colesville Road, you will quickly leave the high rises and office buildings behind and find yourself travelling through Sligo Creek Park. Sligo Creek Park runs from Prince Georges County to the East, all the way to University Boulevard ( Sligo Creek Parkway ends just a few miles from Wheaton Regional Park). The park is a long stretch of land that runs on both sides of Sligo Creek. There are bike paths, tot lots, picnic areas and basketball courts spaced throughout the park. It is a favorite for family picnics as well as leisurely lunches shared by office workers escaping for a noontime respite. Riding along Colesville Road past Sligo Creek Park and just past the Capital Beltway, you will arrive at a town named after is unique intersection. Four Corners it located in one of the earliest round-a-bout road configurations. University Boulevard east and west split on either side of Colesville Road. The effect has you passing University Boulevard on your left and then a block later passing University Boulevard on your right. Despite the traffic oddity, the area features some of the nicest homes in Montgomery County. New roads over the last 3o years have created a few dead ends in the neighborhoods but to the delight of homeowners, it also put an end to pass through traffic. The federal government moved the FDA to White Oak when the Naval Surface Weapons Center was merged with the facility at the David Taylor Model Basin over near Carderock. The change has created a lot of excitement in the White Oak area because the facility will bring more jobs to the county. It is located in a suburban area that features homes, town homes, high rises, garden apartments and condos. The nearby White Oak Shopping center is conveniently located to homes in this area. The last stop on our journey out Colesville Road is the town of Burtonsville. Burtonsville is almost pure suburbia. There neighborhoods of single family homes attached to neighborhoods of town homes attached to neighborhoods of single family homes attached to … well you get the picture. Burtonsville is about midway between Baltimore and Washington. The community is bisected by Colesville Road but local neighborhoods are not impacted greatly by the traffic. This section of Colesville Road has undergone massive restructuring to ease commuting and facilitate the neighborhood nature of the side streets. Burtonsville is also home to Seibel’s Restaurant which is an old style family affair offering up sumptuous dinners and home made ice cream. Montgomery County Living is chock full of choices ! The nationally recognized American Film Institute Theater is located in down town Silver Spring. The history of film is heralded with weekly events and showings of classic films. Of course, Montgomery County has other movie theaters, but the AFI is special. Montgomery County also has many venues for live theater. Live performances are held on a regular basis at the Strathmore Theater in Kensington. The Olney Theater has a long history of summer stock and year round performances. There are several other smaller venues scattered throughout Montgomery County. If you enjoy a round of gold, Montgomery County is the place for you. The area has dozens of public courses that range in difficulty from beginners ease of Sligo Creek Golf Course to the crown jewel of the area, Northwest Park. There are courses run by the Montgomery County and others managed privately. Montgomery County also has quite a few private courses that offer membership to interested parties. Athletic participation for the young and old alike are found throughout Montgomery County. The Montgomery County Department of Recreation offers children of all skill levels and ages the opportunity to participate in team sports. Saturday mornings throughout the year feature swimming or basketball or football or baseball or t-ball or soccer. It is a terrific place to raise a family. Montgomery County Living is a hot spot for outdoor enthusiast. Whether you like hiking, photography or canoeing, there is a place for you in Montgomery County. The easy access to the Potomac River is a real treat for those that want to spend time paddling a canoe or casting a line. The rough water of Great Falls is used by local kayakers throughout the year. The changing seasons present colors that are breath taking on Sugarloaf Mountain. Montgomery County Living is an outdoor paradise. When we say, Montgomery County Living is Fine Dining, we are not talking about the chain restaurants that litter the landscape from one end of the country to another. We are referring to the best steak house in the metro area, Ray’s the Classics in Silver Spring. One visit to Ray’s and Ruth Chris will feel like a stop at McDonalds. The Black family also own and operate several very nice restaurants in Montgomery County. If you happen to have a desire to eat the best sub in the whole wide world, you have to stop at Continental Pizza on University Boulevard in Kensington, Md. If you are seeking the best in chinese where you can talk out or eat in, pay a visit to Lee’s Kitchen in Silver Spring. The biggest secret regarding good food is located all the way out Georgia Avenue. Stop in the Sunshine General Store and take a seat at the counter in the back. The cheese burgers are incredible and if you stop for breakfast, they prepare a bacon and egg sandwich that elevates breakfast to an entirely different level. Montgomery County Living is designed around creating a quality of life. Yes, traffic can be a problem and when it snows it is best just to take a day. Every community has nuances that might be irritating. Montgomery County Living reduces those nuances to mere aberrations. There are places to live to fit anyones chosen life style. Montgomery County Living features four major shopping center/shopping malls. White Flint Mall is located in Rockville and is anchored by Bloomingdales. Montgomery Mall, located in Bethesda and is a much larger mall that has Nordstrom, Sears, Macy’s and several other major chain stores, Lake Forest Mall is located in Gaithersburg and features most of the major retail stores. Lastly, the revitalized ‘Westfield Shopping Center in Wheaton that features JC Penneys and Target. Shopping does not end there. Specialty shops are found throughout the county. And if you want to expand you shopping experience, Montgomery County has several red line stations for the metro rail. The metro rail opens up more possibilities than one could imagine. The metro to the mall map is terrific. If you can’t tell, we love Montgomery County and would like to have the chance to share that love with you if you are thinking of moving here. 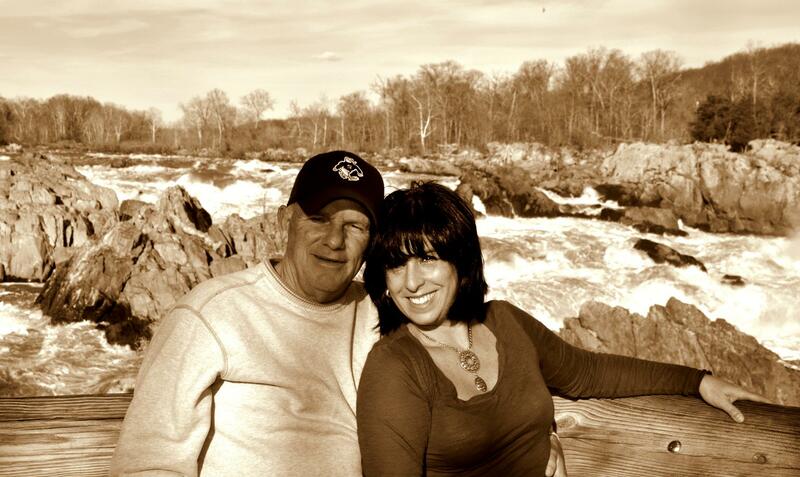 In person, we are John MacArthur and Lourdes Tudela. We have lived in Montgomery County all of our adult lives. We have raised children here. We shop here. We know the highways and the bi-ways. Let us share Montgomery County with you. We can be reached at 301-509-5111. Montgomery County Living … This is it !